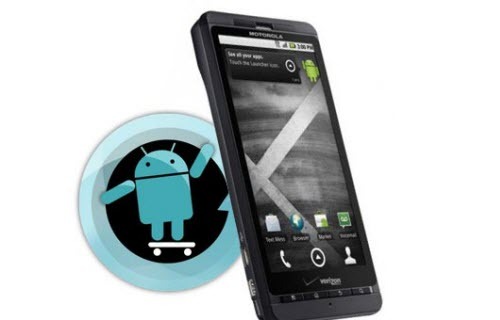 Motorola Droid X2 users can now rejoice and upgrade their devices to ICS Alpha based Cyanogen Mod 9 firmware. Although this one is an Alpha release, some things might now work and bugs can occur but they would be addressed in the upcoming updates and future releases would be more stable. Sadly, there won’t be any official ICS updates for Motorola Droid X2 but no worries since we’ll be sharing unofficial builds of ICS firmware right at this blog. Disclaimer: If you’re applying this update, ensure that your device model is Motorola Droid X2. This update isn’t applicable for any NETWORK LOCKED version of Motorola Droid X2. We will not liable for damage that takes place to your device while applying this update. The ROM we would see today is compatible only with HTC One X. So, make sure you try this ROM only on this device, not any other device by any company. Firstly, ensure that your device is rooted. Download ICS Cyanogen mod 9 firmware package directly to your Computer. Transfer the file you downloaded to your phone by connecting your phone to computer using USB cable. Now we will have to enter the device into boot loader mode. To enter into boot loader mode, press and hold Volume Down + Camera + Power button. In boot loader mode, select the option ‘recovery’ to enter into recovery mode. In recovery mode, select Wipe data/factory reset and also you need to select Wipe Cache partition for clearing all the cache data. Up next, select ‘Install ZIP from SD card’ and on the next screen, select ‘Choose ZIP from SD card’ and then select the ICS CM9 firmware package as you transferred this file earlier and the installation process would start and finish in 5-8 minutes. Next up, in recovery mode, select ‘+++Go back+++’ and then ‘reboot System now’ and the device would restart into normal mode. So, you’re done with the Motorola Droid X2 Android ICS Alpha Based CyanogenMod 9 Firmware update! You mention holding the camera button to enter boot loader mode on the X2. The X2 does not have a dedicated camera button, but the original X does.